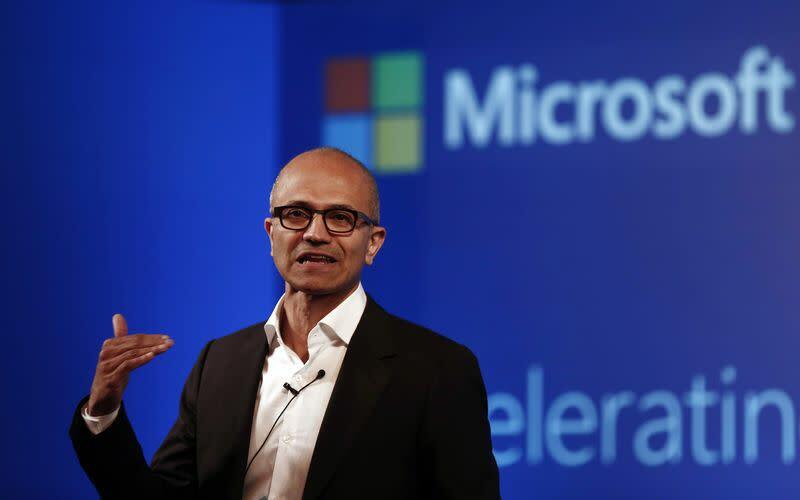 SEATTLE (Reuters) - Microsoft Corp's (MSFT.O) chief executive officer suggested on Thursday that women in technology should not ask for raises but have faith in the "system", bringing a torrent of criticism and causing the executive to backtrack after the statement. "I'll wait for Karma to lower my #xboxlive price too," tweeted Chuck Granade. "I answered that question completely wrong," said the memo. "I believe men and women should get equal pay for equal work. And when it comes to career advice on getting a raise when you think it’s deserved, Maria’s advice was the right advice. If you think you deserve a raise, you should just ask."